Contrast, juxtaposition, irony; observing and capturing everyday things that are rarely noticed; presenting them in such a way as to give them new life and meaning. That is how I approach my craft; that is the direction from which I attempt to reveal the art, and the beauty, that is all around us, hidden in plain sight. Visit me at my online shop, www.photogrunt.etsy.com. There are many images here that are not listed there, and vice versa; if you see something you like, either here or there, please contact me and I'll be more than happy to create a listing for you. 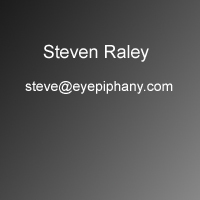 eyEpiphany - A sudden intuitive enlightenment, comprehension or perception of reality by means of a visual experience.